Located at the estuary of Hangzhou Bay's east part, Zhoushan, a city with a population of about 1 million in the east of Zhejiang Province, is considered as a marine hub city connecting the Yangtze River and the Pacific Ocean. The city is 135 sea-miles south from Shanghai, China's largest economic center, and 34 sea-miles east from Ningbo, a developing industrial city. As China's only prefecture-level archipelago city, Zhoushan has two districts and two counties: Dinghai District, Putuo District, Daishan County, and Shengsi County. The municipal government is located at Xincheng. Zhoushan is China's largest archipelago with a total area of about 22,200 square kilometers, in which the sea area is 20,800 square kilometers and the land area 1,371 square kilometers. 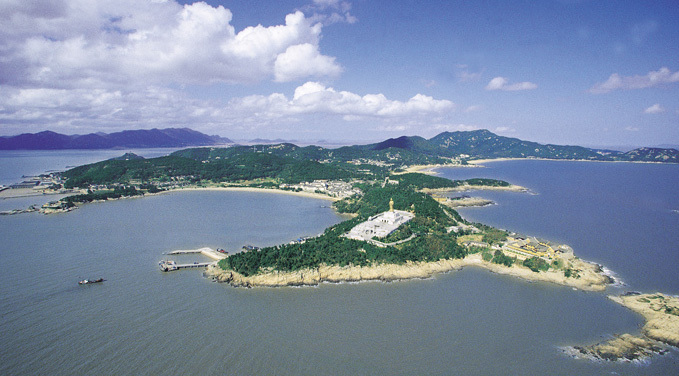 As many as 1,339 islands are scattered amidst Zhoushan's vast sea, among which 107 are human inhabited (or once inhabited). As the largest island of the Archipelago, Zhoushan Island covers an area of 502 square kilometers, which is 45 km long from east to west and 18 km wide from south to north. Following Taiwan, Hainan, and Chongming, the island, compared to be a shining pearl amidst the vast East China Sea, ranks as the fourth largest island in China. Zhoushan is famous for its Putuo Island, one of China's four most well-known Buddhist sanctums, and Shenjiamen Fishing Port, one of the world's three largest fishing ports. 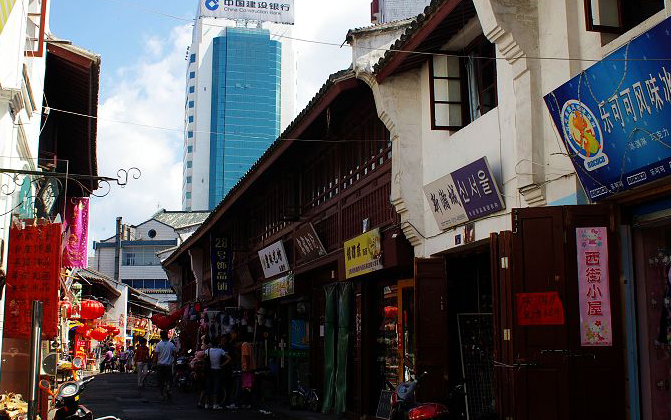 The city ranks as China's largest center for seafood production, processing and selling. In 2009, the cargo throughput of Ningbo-Zhoushan Port reached 570 million tons, more than that of Shanghai Port, thus making the port the top one in the world. Isolated by the sea, Zhoushan's transportation was solely independent on ferry and airplane, which seriously confined the city's economic development. On Dec 25, 2009, Zhoushan Cross-sea Bridge was put into use, and the city began to be ushered in the Bridge Era. Zhoushan is now on the way towards its ambitious goal of building a garden city on the sea that is advanced in marine economy and famous for marine culture. Affected by the monsoon from Pacific Ocean, Zhoushan's climate features mild humidity and abundant sunshine, resulting in warm winter and cool summer. The average temperature of the whole year is 16℃. The yearly precipitation varies from 927 mm to 1620 mm. 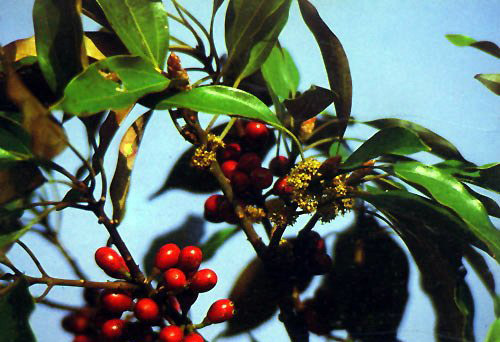 The climate offers favorable conditions for agriculture and fisheries as well as a wide variety of creatures. Thanks to the powerful air purification ability and small temperature differences, Zhoushan boasts a city suitable for developing new high-precision industries. However, unpredictable monsoons bring typhoons to Zhoushan in summer and autumn. Other possible bad weather includes windy days in winter and droughts between July and August. Zhoushan has experienced a long history of development. According to history records and researches on unearthed cultural relics, people began to live on some islands in Neolithic Age more than 5,000 years ago. They reclaimed wastelands, preyed on sea animals, and started fishery and salt production. During the Spring and Autumn Period, Zhoushan, then called Yongdong (meaning east of Yongjiang River) or Haizhongzhou (meaning islands on the sea), was governed by the Kingdom of Yue. In A.D.738 (in Tang Dynasty), it became a county officially named Wengshan. It got its name because on the island there was a hill called Wengshan Hill. In A.D. 771, Yuanchao, a rebel leader occupied the county, which was deprived of its countyship until A.D. 1073(in Northern Song Dynasty) when it was named Changguo County. In the early period of Yuan Dynasty, its administration level was once upgraded to higher level, but degraded in A.D.1369 (in Ming Dynasty), and abolished again 18 years later. Due to the seclusion policies in both Ming and Qing Dynasties, people in Zhoushan had been twice forced by the Government to abandon their homes and to live on the mainland. In the 26th year of the reign of Emperor Kangxi of Qing Dynasty (A.D.1687), Zhoushan became a county again, named Dinghai County, and was upgraded to city level during the ruling years of Emperor Tao-kuang. After the Revolution of 1911, Zhoushan restored county administration and its name Dinghai until 1949 when it was divided into 2 counties: Dinghai and Wengzhou. 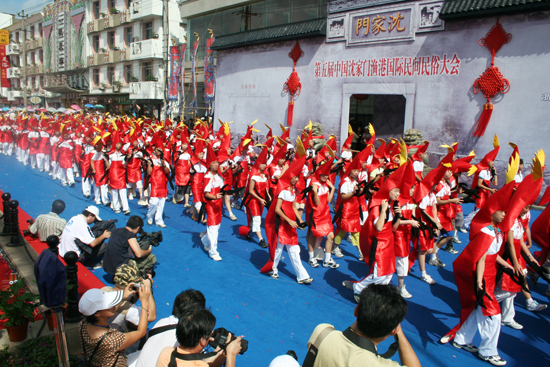 Zhoushan was liberated by the PLA on May 17th, 1950, later than the founding of the People's Republic of China. Then People's Government of Dinghai County was established, governed by Ningbo administrative region. 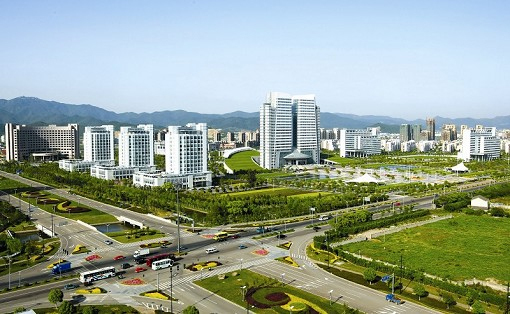 In January, 1987, approved by the State Council of PRC, the city of Zhoushan was officially founded, governing 2 districts and 2 counties: Dinghai District, Putuo District, Daishan County, and Shengsi County. Rich natural resources make the city competitive in industries of fishery, ports, and tourism. It is China's largest center for seafood processing, production and selling. In addition, the city boasts many good ports, thanks to its numerous harbors and ship-channels which are deep and calm. Zhoushan is also famous for its charming and well-preserved islands, some of which have been developed into well-known tourist destinations, including two state-level and two provincial level scenic spots. The sea around Zhoushan provides a favorable environment for a wide variety of marine animals, resulting in rich aquatic products.